During his career, Stokowski was not associated with the symphonies of Beethoven in the way that Toscanini, Furtwängler, or even Weingartner were. However, during Stokowski's six decades of conducting, he made a number of very good performances and recordings of the Beethoven symphonies. Issued recordings included all the symphonies, except Beethoven's first symphony. Of the Beethoven Symphony no 8, Stokowski made his first and only commercial recording, in fact with any orchestra, during the acoustic era in 1920. In addition, there are at least three later live performances of the symphony which have since become available on private or limited issue recordings. This acoustic recording of the second movement of the Symphony was recorded May 20, 1920. As was the practice at the time, Stokowski recorded only this one movement (Stokowski would make the first Victor recording of a full symphonic work in 1924, with the Schubert Unfinished). This recording, as with others between 1919 and 1924, was done with a greatly reduced orchestral complement, with the objective by the Victor engineers of increase "clarity". Only 45 musicians were used in the recording of the Beethoven second movement from the Symphony no 8. These were 6 violins, 2 violas, 2 cellos, 4 string basses, 2 flutes, 2 oboes, 2 bassoons, 2 clarinets, 4 horns, 2 trumpets, 3 trombones, 2 tubas, a drum, and a harp. You can also hear what seems to be either a contrabassoon or a bass clarinet or perhaps the tuba reinforcing the parts played by the string basses. This recording was issued on a 12 inch Victor Red Seal record 74661, matrix C-24127-3 issued in 1921. Click below to hear this recording of the 1920 Beethoven Symphony no 8 second movement. This recording of the second movement of the Beethoven Symphony no 8 used a similar re-orchestration of the music as was commonly used by Victor from 1919 to 1924, which in this period either substituted bass winds for string basses or augmented the string basses with such instruments. In the opening of this movement, doubling of the string basses by either a bass oboe or tuba is audible. However, as can be heard in the UK Columbia Weingartner recording of this second movement from his London Symphony Orchestra recording from November 27, 1923, string basses can be successfully, if less prominently recorded with the acoustic process. Listen to the first few minutes of the Weingartner recording as transcribed by Bryan Bishop (see his wonderful Shellackophile blog: http://shellackophile.blogspot.com 2). Such recordings by Weingartner and other famous conductors with famous European orchestras of the 1920s, both acoustic recordings and electrical recordings offer interesting musical comparisons. Having listened to more than 100 such recordings from the 1920s and early 1930s, its seems to me that Stokowski and the Philadelphia Orchestra display a level of precision, ensemble, and virtuosity not found in the recordings of famous European orchestras, including of Berlin, Vienna, and London. An example are the several Beethoven recordings by Weingartner, such as the Beethoven Symphony no 8, featured above, and the 1923 recording of the Beethoven Symphony no 7 with the London Symphony Orchestra. Weingartner was certainly a great Beethoven conductor, and the reduced complement of musicians here were among the leading London musicians. However, the playing standards of that era were, by evidence of the recordings below what we would expect from a regional or community orchestra of today. There is a scrambling in the playing, with not all the notes of the score played and a lack of precision and ensemble. This was well below the performance level of Philadelphia Orchestra of that era as shown by their many recordings. Listen for example to the Beethoven excerpt by clicking on the link below and decide for yourself. 1920 - Largo from the Dvorak Symphony no 9, "From the New World"
In 1920, Leopold Stokowski and the Philadelphia Orchestra made the first of a series of four recordings of the Dvorak Symphony no 9, "From the New World", although as was the practice in the acoustic era, only of a single movement. This was the second movement, "Largo" recorded May 21, 1920. In fact, this movement of the Dvorak symphony was not their first attempt to record the Symphony 'From the New World'. Stokowski and the Philadelphians has recorded the third movement, a scherzo, in December 1917 at one of their earliest recording sessions. However, this recording was one of the many sides rejected by Stokowski and never issued. They recorded this symphony in full in 1925 with the electrical process producing a famous album. This later 1925 recording was first issued as a separate album, containing the complete New World symphony. Later, this album was revised to became the first of the Victor "Musical Masterpiece" series, the first of this new series, labeled "M-1". The Victor Musical Masterpiece series continued until the end of the 78 RPM era. Stokowski and the Philadelphia Orchestr recorded the New World Symphony again, and perhaps most successfully in both sound and performance, in October, 1927. Somewhat confusingly, the 1927 that recording was also assigned the catalog number of M-1, replacing the 1925 recording. Further confusing for collectors is that this 1927 recording was assigned the same matrix numbers as the 1925 recording, although with different 'take' numbers. Stokowski and the Philadelphians returned to the Dvorak Symphony no. 9 a final time in 1934, but this, in my judgment was not so fine, either acoustically or as a performance as the 1927 effort. Listen to this fine 1920 acoustic recording of the Largo movement of the Dvorak Symphony no 9 'From the New World' by clicking on the link below. In 1920, Stokowski also made the first of his six commercial recordings of the Liszt Hungarian Rhapsody no 2 for piano. The version on this side was orchestrated by Karl Müller-Berghaus but heavily cut by Stokowski so as to fit on one side of Victor Red Seal 74647. The orchestration of this piece, and the prominence of horns and woodwinds, and the reasonably effective recording of the strings makes this one of the sonically more effective acoustic Stokowski recordings. It is also a vigorous performance. This recording was made on May 20, 1920 with approximately 35 musicians in the newly renovated Camden Trinity Church studio, purchased by Victor in 1918, and now referred to as "Building no 22". The day after Stokowski and the Philadelphians had recorded the excerpts from the Beethoven Symphony no 8, the Dvorak 'New World" and the Liszt Hungarian Rhapsody no 2, they went back to Camden to record the Johannes Brahms' Hungarian Dance No 1 in g minor. This Hungarian Dance, following on from the first two Stokowski recordings made in 1917 of the Hungarian Dances 5 and 6, was in an orchestration based on the arrangement of the piano music by Brahms' friend, Joseph Joachim. The 1920 orchestral forces used for this recording were considerably less than for the first 1917 recordings. Approximately 40 musicians were used, compared with approximately 95 in 1917. The sound and performance of this Hungarian Dance no 1 seems to have less impact than the 1917 Hungarian Dances 5 and 6, perhaps in part because of this reduced orchestral complement. Stokowski also may have been dissatisfied with this recording, even though he approved it for release. The evidence for this is that he and the Philadelphia Orchestra re-recorded the work in November, 1922 and in May, 1923, although neither later recording was released. The performance itself is significantly different than would be heard from Stokowski's contemporaries. It begins very slowly in the introductory theme, and the speeds up to a rapid pace. This is a dramatic effect, but does not seem to be based on what Brahms wrote. But then Stokowski usually knew what he wanted to accomplish. The following year, in 1921 Stokowski recorded probably well over 100 acoustic sides, of which 11 were released. This made 1921 the most prolific recording year by the Philadelphians up to that point. Following the Rimski-Korsakov and Wagner sessions of March 25, 1921, Stokowski recorded the Sibelius Finlandia, still a contemporary composition, composed just over twenty years before. This is another of the successful Stokowski acoustic recordings. The performance is noble and inspired, and the limitations of the acoustic process do not significantly detract from the impact of this work and its performance. Brahms was one of the composers most successfully conducted by Stokowski, and he seems to have programmed either the Brahms Symphony no 1 or Symphony no 3 whenever he needed an assured success during his career. Given his affinity for Brahms, it is surprising he did not record the Academic Festival Overture commercially until 1974, nor the Tragic Overture until 1977, both at the very end of his long career. Also, according to Enno Riekena's superb discography of Stokowski commercial disks, the only recording issued commercially of Stokowski performing the Variations on a Theme of Haydn was a 1962 live recording with the Chicago Symphony Orchestra, when Stokowski substituted for an ailing Fritz Reiner. At this concert, Stokowski conducted the works Reiner had programmed. This 1962 Variations on a Theme of Haydn recording was issued by the Leopold Stokowski Society, and later on other CDs. It is surprising that, according to C. G. Arnold's comprehensive acoustic discography The Orchestra on Record, 1896 - 1926, this Stokowski - Philadelphia Orchestra recording of the third movement of the Brahms Symphony no 3 of 1921 seems to be the first recording ever of any movement from any Brahms symphony by any conductor (hard to believe, but documented by Arnold!) 3. This 1921 Brahms recording also shows how Stokowski and the Philadelphia Orchestra programmed their recording sessions and selected the 'takes' to be issued. The third movement of the Brahms Symphony no 3 Poco allegretto was recorded in four recording sessions before a satisfactory recording was achieve. These were two different takes on 18 May 1920 and two further takes on 18 May 1920, two takes on 14 February 1921, and finally two takes, of which the last was a success on 18 April 1921. This take was issued on a 12 inch (30 cm) Red Seal disk Victor 74722, matrix number C-24125-8. In Europe, the recording was issued by the Gramophone Company on Gramophone 3-0700. This recording was also released on a double sided Victor Red Seal disk Victor 6242 coupled with the Scherzo movement of the Tchaikovsky Symphony no 6 recorded during the same 18 April 1921 session. Also striking is that from the February 1921 and May 1920 recording sessions, no recordings were released of any music --- not just the Brahms. In this recording, a larger orchestral complement of 42 musicians was squeezed in front of the cramped acoustic horn: 12 violins, 3 violas, 2 celli, 4 string basses, 3 oboes, 2 bassoons, 3 clarinets, 4 horns, 2 trumpets, 3 trombones, 2 tubas, 1 harp, and 1 percussion. Click below to hear the third movement of Brahms Symphony no 3 in F major from 18 April 1921. At the end of 1921, on December 5, 1921, Stokowski and the Philadelphians recorded their first and only acoustic recording of music by Richard Strauss: The Dance of the Seven Veils from Scene 4 Salome. In the opera, as he price for dancing this dance, Salome demands from Herod, King of Judea, the head of John the Baptist on a silver platter. 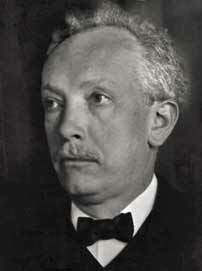 Richard Strauss had conducted the Philadelphia Orchestra on a number of occasions, including during the tenure of Fritz Scheel, the first conductor of the Philadelphia Orchestra. 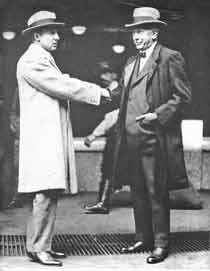 In October, 1921, Strauss conducted the Philadelphia Orchestra in one concert in Philadelphia, and five concerts in New York City, all of his own works 4. This fine recording of the Dance of the Seven Veils from Strauss's opera Salome was released on two 12 inch (30 cm) single sided Victor Red Seal disks, Victor 74729 and 74730, matrices C-25788-3 and C-25789-2. In Europe, the Gramophone Company released the recording on Gramophone 12 inch (30 cm) DB-383. 4 Page 199. Wister, Frances Anne Twenty-five years of the Philadelphia orchestra (1900-25) Edward Stern & Co, Philadelphia 1925.